Simplifying your wardrobe and clothing can make your life and your morning routine so much easier. I have actually simplified my closet so much so that although it looks sparse, I actually wear a larger percent of the clothes in it. If this is true, and I believe it is, why are we holding on to some many clothes. Why are our closets cluttered with things we do not love, we do not look good again, that we have held on to for far too many years thinking maybe we will wear it again? I know you may be thinking "I will keep this just in case." But from my experience, just in case rarely, if ever, comes. 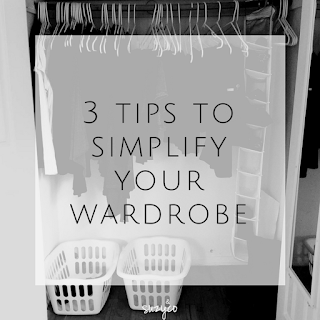 So I have comes up with 3 tips - things I have done - to help others simplify their wardrobe. 1. Bring out every single item of clothing you have all at once and go through it. All of it. As crazy and overwhelming as it may seem, when you can clearly see how many items you have, it is much easier to pare down and purge. You will be able to see how many duplicates you have. You may not even realize that you have enough T-shirts that you could not do laundry for a month and still be fine. 2. Any clothes that you deem "maybe" try on. Do you like them or love them? Too many times we keep items of clothing because we like the idea of it, or like it on the hangar, but when we actually put it on, it just isn't right. Yet we spent money, sometimes a lot, on that item and feel guilty; like it is throwing money away. The thing is, if you had never bought it and really evaluated how it fits, you would never know that the "fill-in-the-blank (color, size, style, etc.) isn't for you. By buying that item, you learned what isn't for you and now you won't buy something like tha tin the future. And although it would be nice to figure that out at the store before we spend money, it just doesn't always work out that way. This has been the best thing I have done for my wardrobe. Creating a uniform, a momiform in my case. I have a very limited style of outfit and wear combinations of that almost daily. My uniform is yoga or stretch pants and a shift/Tshirt dress. Almost always in black or grey - my favorite color. I love that I can dress it up with boots or cute flats and layering sweaters, or I can dress it down with some cute tennis shoes like these. People who see my daily or weekly always see me in the same things. Always. At first I worried that people would think I always wore the same thing and never washed my clothes. Then I got over it, got confidence and wear my momiform with pride. And when talking about clothes with friends and family I proudly proclaim that I wear the same things and have a very limited amount of clothes. 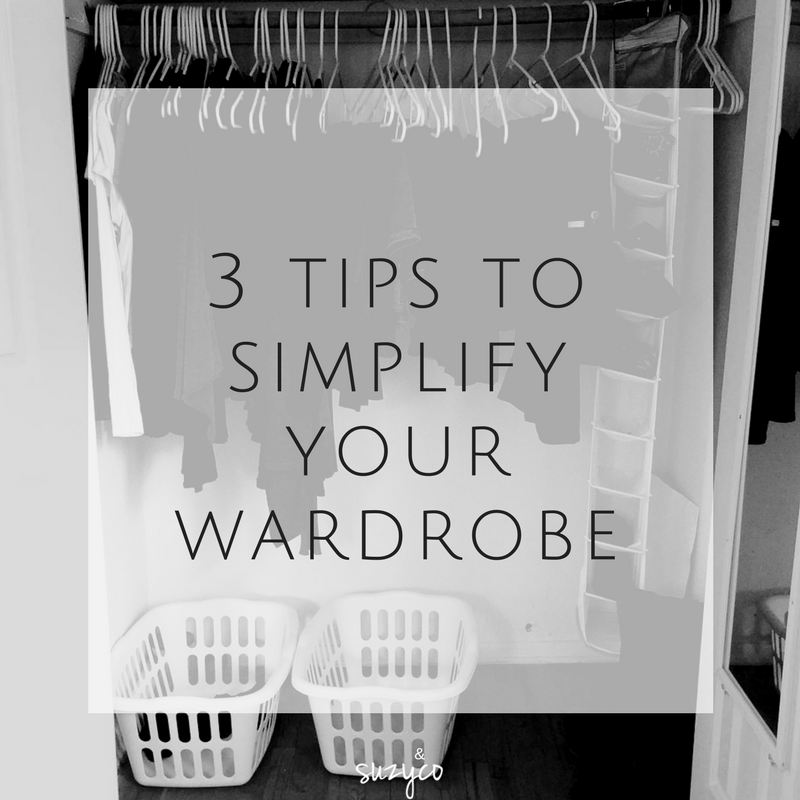 Although there are other things you can do to help simplify your wardrobe, those 3 tips have helped me.